Are you in search of an exciting destination for your next corporate getaway? 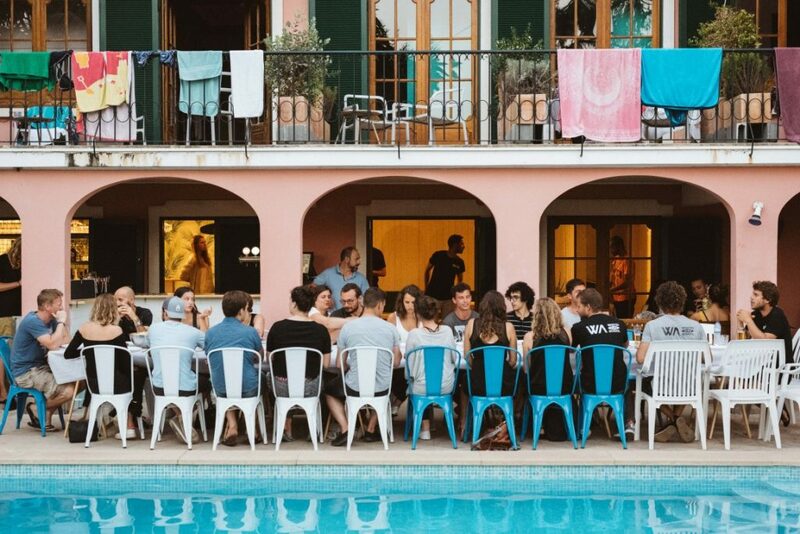 What better place to enjoy a spot of team building than Lisbon?! Lisbon is a gothic city famed for its beautiful hillsides, quaint cafes, picture perfect cobbled alleyways, and rich history. Granted, that alone is reason enough to visit. But, it also makes for a great location for team building getaways, offering the opportunity to test the individuals that make up your team whilst having fun in the great outdoors. 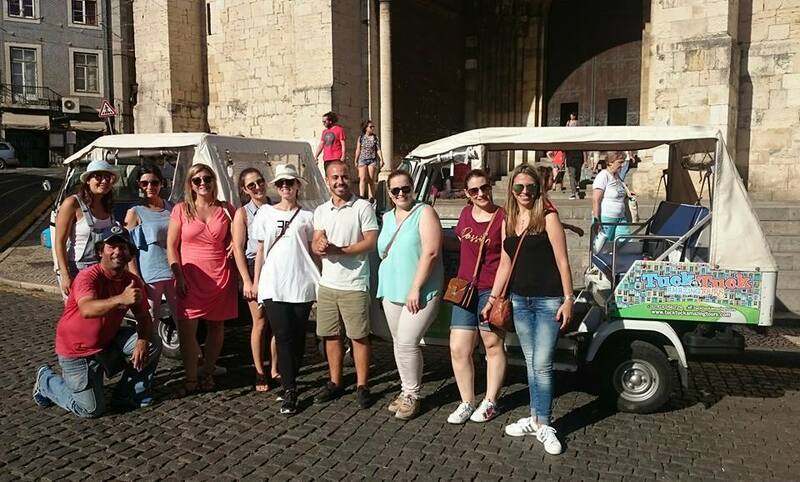 When it comes to team building holidays, our corporate getaways offer a whole host of activities tailored to you by our specialist team, so that you can truly get the best out of the captivating destination that is Lisbon. Pic: The beautiful Lisbon coastline makes for some great exploring and adventure team building. First and foremost, there are great international transport links to Lisbon. It is relatively inexpensive and super easy to bring your team to enjoy our best of both worlds package. 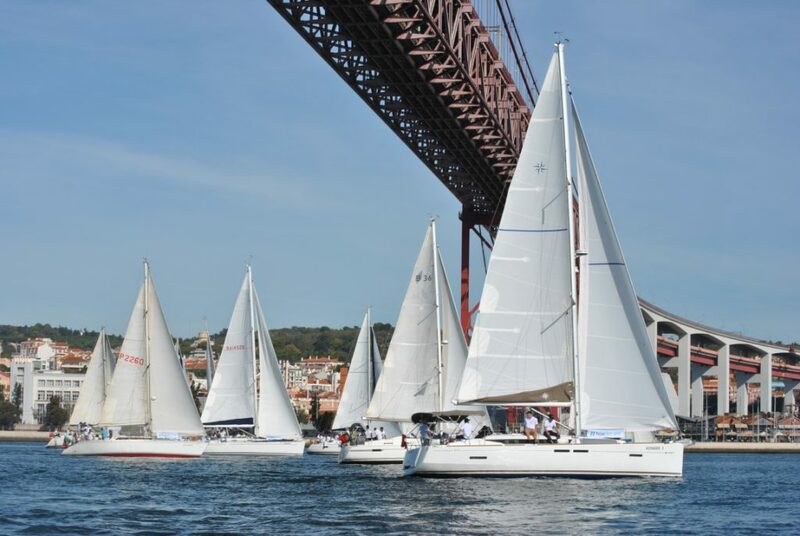 Lisbon offers plenty of scope for exploration and activity adventures that will really test the strength of your team. What’s more, you can soak up the culture, charming eateries and endless bars on offer in the bustling city centre and beaches. 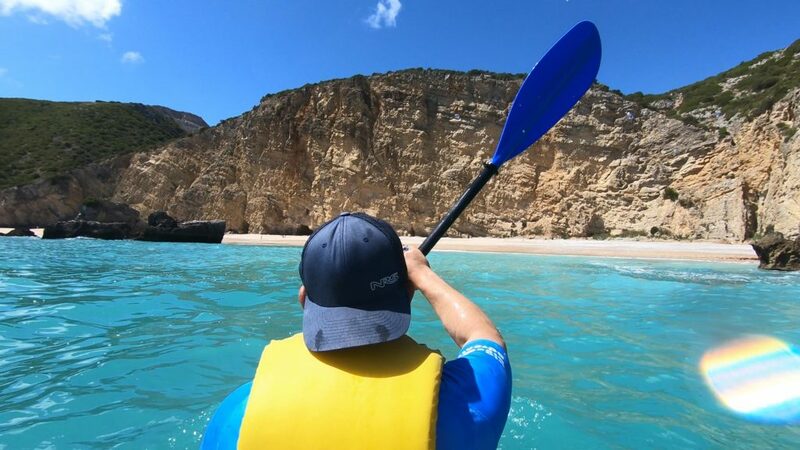 Pic: Kayaking while team building Lisbon summer of 2018. 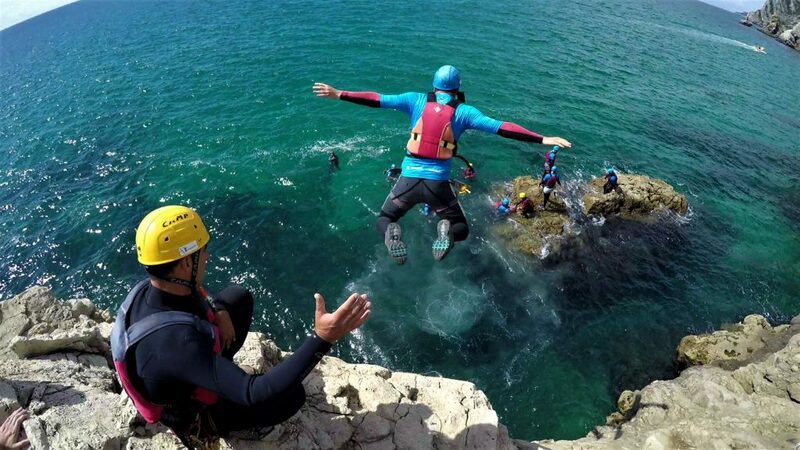 Coasteering is the perfect activity to get your team together for some natural bonding. 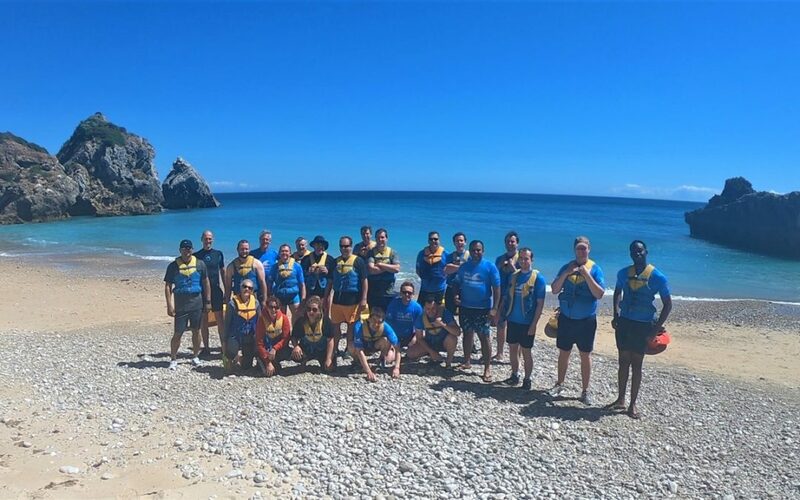 Our knowledgeable team will tailor your experience to suit your ability levels as you take the leap of faith together and soak up the picturesque sights of the Lisbon coast. How about learning to set sail with your team before finishing up your day with a regatta in a real test of team work with some healthy competition? With options to enjoy a team BBQ on board, this activity offers a great blend of adventure with some relaxed team bonding. For teams that enjoy water sports, why not try your hand at a bit of surfing? Portugal is a haven for surfers. Often referred to as the best surf scene in Europe, hosting a number of big competitions throughout the year. Once you’ve tackled the waves with your team, retreat to one of the Guincho or Carcavelos beach bars for some well-deserved fun. For those who prefer to remain firmly on dry land, why not ready the bodies and mind with some super relaxed beach yoga. If you’ve satisfied the adrenaline junkies within your team, how about a slightly more chilled outdoor pursuit? Explore Lisbon or the World Heritage site of Sintra by Tuk Tuk, with plenty of wine and food stops incorporated, of course. The packages are easily adjustable, with the options to add other activities such as mountain biking and paddle boarding, it’s totally down to you! Whether you’re looking to enjoy a relaxed team building trip or an action-packed getaway to really push some boundaries, we can create the perfect blend of activities that are sure to bring your team together. When the day is done, our accommodation is perfect to host groups of any size. 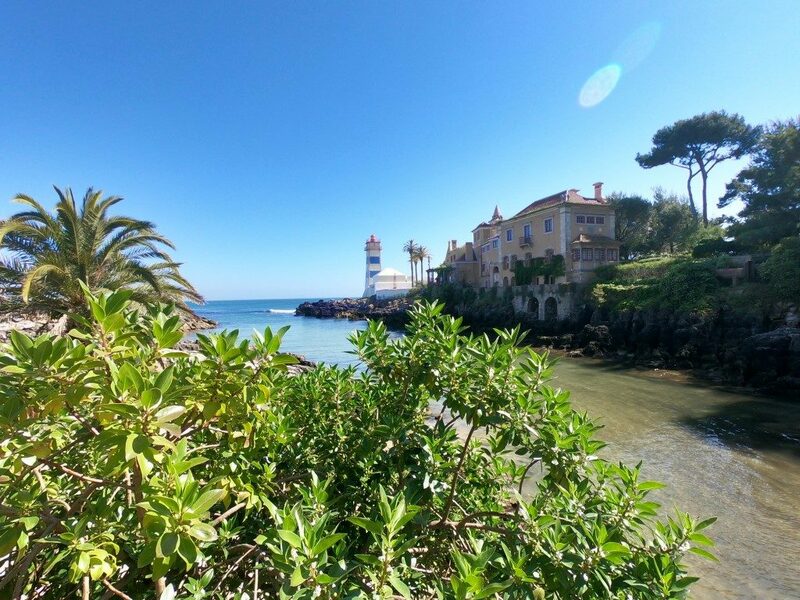 Based on the beachy sea side districts, you can enjoy the slow-paced atmosphere of Cascais or Carcavelos, whilst being just a short train ride away from the bustling city centre. Tempted to shake up your next corporate getaway? Find out more about our Lisbon getaways here or get in touch with a member of the team to discuss your options!